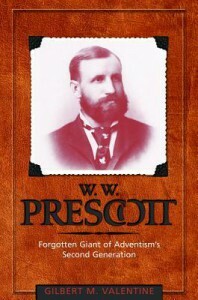 I received Advanced Reader's Edition of this book through LibraryThing's Early Reviewers program for an honest review. The future of the young United States hangs in the balance as two friends and rising statesmen travel the roads of eight Virginia counties to become a member of the first Congress under the newly adopted Constitution, depending on who is elected the new Constitution will succeed or fail. 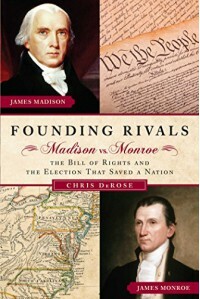 Founding Rivals: Madison vs. Monroe—The Bill of Rights and The Election That Saved A Nation by Chris DeRose follows the lives of future Presidents James Madison and James Monroe lead up to the election the two men faced off in Virginia’s 5th Congressional district and why the result was important for the future of the nation. The lives of the young Virginians James Madison and James Monroe were both different; one was sickly and served in legislatures during the Revolution while the other was healthy and a soldier during the war. But there were similarities as well as both were wholeheartedly behind the success of the new nation and deeply troubled about the ineffectiveness of the Articles of Confederation, wanting those similar of mind to come together to bring changes. After the failed Annapolis Convention, Madison coaxed George Washington out of retirement to the Philadelphia Convention and the result was a new Constitution that was sent to the states for ratification. Monroe, though wanting a better government than the Articles, found the new Constitution too much and joined other Anti-Federalists in Virginia hoping to reject the new document in the face of Madison and the Federalists. The heated Virginia Ratification Convention went back and forth before Virginia passed the new Constitution, but the Anti-Federalists stuck back in next session of the House of Delegates putting Madison in a seemingly Anti-Federalist district and convinced Monroe to stand for election against him. If Monroe were to win, the Federalists who would be the majority would be without a leader and not support any amendments (i.e. the Bill of Rights) that Monroe and the Anti-Federalists wanted thus possibly leading to a second Constitutional convention that would undo the new government. However, Madison’s victory came about because of his support for a Bill of Rights especially his long support of religious freedom for dissenters in Virginia. Coming in around 275 pages, Chris DeRose’s first book was a nice read with good research and nice structure to show the parallel lives of his subjects before their history defining election. Yet the fact that the vast majority of my synopsis focused on the last half of the book shows that while DeRose had a nice structure he didn’t use his space well. 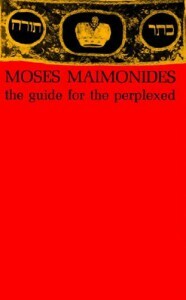 Several times throughout the book DeRose would insert his opinion on what he believed Madison or Monroe were thinking at some moment in time which came off looking amateurish that fact that wasn’t helped when DeRose would also insert asides alluding to current (as of 2011) political event several times as well. Overall Founding Rivals is a nice look into the early lives of James Madison and James Monroe along with a crucial election they stood for with the new Constitution in the balanced. While Chris DeRose did admirable work, it is still his first book and in several places it is never evident. Yet with this caution it is still a good read for history buffs especially interested in this critical period in American history. 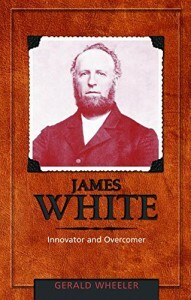 The question of how Christians, including Seventh-day Adventists, approach the study of history compared to their secular colleagues is an important topic of thought and debate. 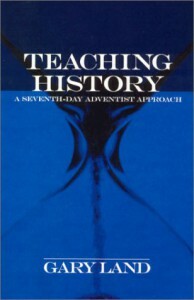 Distinguished Adventist educator and historian Gary Land’s Teaching History: A Seventh-day Adventist Approach gives both teachers and students insight into how they can unite their learning and faith to better appreciate both. In 86 pages of texts, with footnotes at the end of each chapter, Land covers historiography in all its secular philosophies and analysis of history and how suggests how Christians might approach and use each in their own ways. In the text, Land brings up three ways Christians can apply their beliefs with the teaching and writing of history and in the last chapter he provides case studies to showcase how each can be used while still speaking to a wide academic audience. Land doesn’t forget to address how Seventh-day Adventists should approach history, whether their own denomination’s or that of the wider world, amongst themselves whether in journals or in classrooms. Overall this small book about how Christians can approach the study of history while still using their beliefs is a wonderful thought provoking read for both teachers and students. The rise and fall of the Targaryens in Westeros over the course of 300 years is essentially the backstory for George R.R. Martin’s A Song of Ice and Fire series (aka Game of Thrones). Taking on the guise as a master of the Citadel, Martin’s Fire & Blood: From Aegon I to the Regency of Aegon III is the first volume of two detailing the history of the Targaryen dynasty and the unified Westeros they ruled that readers would first meet in A Game of Thrones. 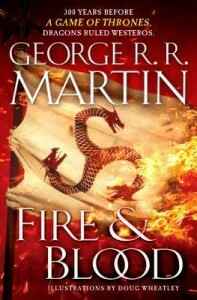 Unlike the vast majority of the books concerning Westeros, Martin writes this one as a pure—yet fictional—history book, though with a clear narrative structure, detailing the lives of the Targaryens and the events that impacted their reigns from Aegon’s Conquest down to the Regency of his great-great-great-grandson Aegon III in the aftermath of The Dance of the Dragons. The book begins with a quick family history of the Targaryens with their flight from Valyria before the Doom and the century leading up to Aegon’s conquest of Westeros before delving into said conquest with his sister-wives. Then just a regular history book, the text goes into how the new realm was brought together and how the Targaryens attempted to bring Dorne into the realm during Aegon’s life. Next came the reigns of the Conqueror’s two sons showing how the new dynasty was tested once the founder was missing and the problems faith and cultures play when interacting with one another. Follow the death of Maegor the Cruel, the long reign of Jaehaerys I with considerable influence from his sister-wife queen Alysanne shows how dynasty’s rule was cemented even though seeds were planted for a crisis in the succession of the line that would explode in civil war after the death of their grandson Viserys I between his eldest daughter and her younger half-brother that would devastate the realm and basically kill off all the dragons—both human and creature—leaving a 10-year boy left to sit the Iron Throne. Although around half the material in this book was a reprint from A World of Ice and Fire, “The Princess and the Queen, “The Rogue Prince”, and “Sons of the Dragon” it was all the new material and some retconned details of this 700 page book that is really interesting. The reign of Jaehaerys and Alysanne was essentially all new as was the details about how The Dance of the Dragons ended and the resulting multiple Regencies for Aegon III. Along with all this information, which fleshed out the backstory of Westeros even more, were parallels of characters from the main series—as well as the Dunk & Egg novels—with historical personages that appeared in this history that gives big fans thoughts to ponder about what might be in store with the former. Overall Fire & Blood: From Aegon I to the Regency of Aegon III is a very good book for those fans of ASOIAF/GoT who look in-depth at their favorite series. 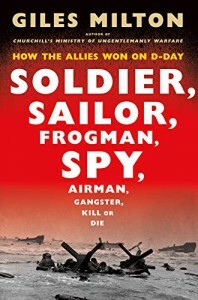 Personally as fan of the series and being interested in the depth Martin gives his series, as well as big history read, this book was fantastic. Yet if you are a casual fan or simple a show fan that hasn’t read the books, this book isn’t for you. The unfortunate incompleteness of Tacitus’ work does not diminish the great historical account that it presents of early Imperial history as well as his critique of the Roman aristocracy during the reigns of Augustus’ Julio-Claudian successors. Though we know his opinions of Tiberius and Nero the best since their reigns survived the best, Tacitus critiques of those family members that did not rule were highly invaluable especially all those who in the writer’s opinion might have been more fitting successors to Augustus if not fpr political intrigue or bad luck. If there is a complaint with this book it is with a decision by translator Michael Grant decision to use modern military terminology in reference to Roman’s military was it, but his decision to use Roman numerals to help identify different historical actors who had the same name—a very common Roman practice—without a doubt help keep things straight. 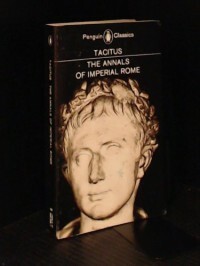 The biggest complaint that I had with Tacitus’ other works, which I had from Oxford World Classics, were non-existent with Penguin Classics and thus I encourage others towards that particular publisher. The Annals of Imperial Rome is Tacitus’ finest work, showing the corruption of absolute power and how many choose to allow it overcome them instead of standing up to it. Although probably (at least) one-third of the work is missing, the portions we have covers how a politically stable Rome begins to slowly unravel through ever increasing fear of the most powerful man in the Empire. The end result of this is chronicles in Tacitus’ previous work. The interaction between the Divine and man are considered some of the most important and inspiring moments within each of the Abrahamic faiths, yet the question always is who was the Divine? Zecharia Sitchin reviews Divine Encounters throughout the ancient Near East whether recorded in the Bible or on cuneiform tablets in this companion volume to his series, The Earth Chronicles. 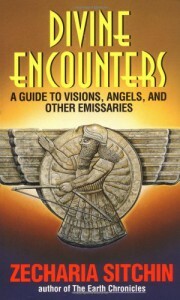 Through the first three-quarters of the book, Sitchin reviews numerous encounters that he has previously written about. Among these topics are the Creation of Man (the “first encounter”) and the Fall, the sexual encounters between the divine and man, the Flood, and man’s search for immortality all with their own specific chapters. Sitchin also covers visions, oracle dreams, and angels which he has previous mentioned and written about in his books, but never dedicated time to looking into them before. Where Sitchin really covers new material is the theophany at Mount Sinai, discussing the Prophets of the Old Testament, and finally an essay in which Sitchin examines which Annunaki was the God of the Old Testament. For those that have read most of Sitchin’s books before, the majority of this book is a review of the previous five books he had written at the time of the publication. The only new ground that Sitchin covered was in the last quarter of the book in which he really examines Exodus, the Old Testament Prophets, and he examination of which Annunaki was the God of the Old Testament which resulted in a surprising conclusion especially for those reading this book for the first time. Divine Encounters is a book geared for people who have never read any of Zecharia Sitchin’s work, but included material at the very end that was new for long time readers. While I liked the new material, the fact I had to reread nearly 300 pages of topics I’ve read over the course of five books was annoying. So if you’re a longtime read of Sitchin’s, get this book to complete your collection but read it last. If you’re a first time reader of Sitchin, the vast majority of the book will give insight into Sitchin’s theories which are fully fleshed out—except what is covered in the last quarter of the book—in The Earth Chronicles series. 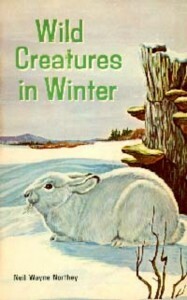 Wild Creatures in Winter is the fourth and final volume Neil Wayne Northey’s Old Homestead series. Like the previous volumes in the series this is a quick and pleasant children’s book that follows the lives of numerous animals that inhabit the area around the series’ titular location. Unlike the previous three books that could be read out of order, this book needs to be read last as all the animals followed were previously introduced in the other books in the series. Yet despite this one difference from the other books, it’ll still provide enjoyment to young children either reading on their own or being read to by their parents. I received this book via Goodreads First Reads program in exchanged for an honest review. The legacy of Chicago’s very own, mostly forgotten, superhero suddenly becomes center stage when a gunman demands the police come clean on the hero’s supposed death or innocent people will die. 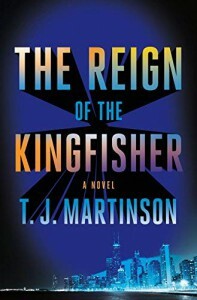 T.J. Martinson’s debut novel, The Reign of the Kingfisher, follows several characters attempting to stop the gunman in their separate ways before coming together and using the information they collected to help stop the gunman. 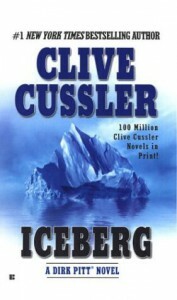 Early in the morning of a soon-to-be hot Chicago summer day, a retired journalist is awakened by a call from Chicago Chief of Police and sees a video of a gunman claiming that the CPD helped the Kingfisher fake his death and demand they come clean before killing a hostage and threatening several more with the same fate. Recognizing the victim as someone he interviewed for his book about the superhero, the journalist gets concerned about others which gets the attention of a CPD detective who has a suspended CPD officer look into the journalist’s list. Meanwhile a hacktivist is angry that the gunman is claiming to be a part of her group and to stop him hacks the CPD database to get a medical exam of the Kingfisher case to prove he might be alive only for the gunman to kill another hostage. After several up and downs, the four characters come together and are able bring their talents and discovers together to bring resolution to the situation. This mystery with a fantasy twist begins with an intriguing premise and some interesting flashbacks, halfway through the book I came up with three possible ways it could play out or in various combinations which made me look forward to see how things would end. However, while I correctly picked the villain and partially got the ending scenario right that doesn’t mean I was satisfied with the book. While the three main and two (or three) secondary characters all came out of central casting, that didn’t make them bad as they started off interesting and developed well. However they either stopped developing to become stale or began doing and saying things that was completely out of the blue from where they had been heading (or both), which undercut the quality of the storytelling. In addition some of the minor subplots, in particular the Police Chief’s, were detrimental to the overall book once it was over. The Reign of the Kingfisher has a great premise, but unfortunately it doesn’t really achieve its potential. While T.J. Martinson might just be beginning a long career, his debut novel is a mixture of good and bad that in the end makes the reader think about how good a book it could have been. The Everstorm is striking Roshar and a new Desolation has begun as the once docile parshman become conscious gathering to face off against humans who’ve owned them for millennia, however nothing as it seems in the long view of history. 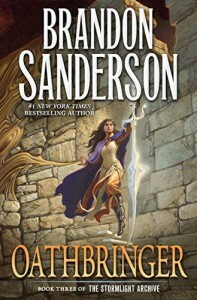 Oathbringer, third installment of Brandon Sanderson’s The Stormlight Archive, immediately picks up where the story left off as the survivors from the clash on the Shattered Plains regroup in the legendary home of the Knights Radiant and attempt to bring together all the humans on Roshar but hard truths and politics stand in the way. Dalinar Kholin’s actions in the past and those in the present dominate the book like Kaladin and Shallan’s did in the previous two installments, whether through his own eyes or those of others. Setting up base in Urithiru, Dalinar begins slowly and diplomatically piecing a coalition together though his own past is a major liability. Using his connection with the Stormfather, Dalinar has other rulers join him in his visions setting up a connection with Queen Fen of Thaylenah and slowly building a relationship. However his attempts with doing the same with the Azir Prime is complicated by Lift no trusting him initially and the bureaucracy around the young man as well. But its Dalinar’s bloody past which turns out to be his own worst enemy as we see through his flashbacks a different man who loved battle and bloodlust, two traits nurtured by Odium to create his champion for the conflict to come but which turn against the enemy when Dalinar accepts his past and uses it to defend Thaylen City. Kaladin and Shallan continue progressing through their respective development while Adolin’s slows a bit so as to give time to his cousin Jasnah and the former Assassin in White, Szeth, time to develop into major secondary characters throughout the book. Through scouting and spying, Kaladin first assesses the actions of the newly awakened parshmen though not without gaining relationships with them, a fact that haunts him when he faces them later in battle and creating a moral crisis that prevents him from stating the Fourth Ideal and almost kills him, Adolin, and Shallan if not for Dalinar’s actions. Shallan has her own growing crisis throughout the book, multiple personality disorder, which is exacerbated through her Lightweaving and attempts to not be the “scared little girl” she’s always seen herself as. Though she does not fully overcome it by the end of the book, she has begun dealing with it especially with help from Adolin who is dealing with his own issues stemming from his killing of Sadeas in regards to his place in Alethi society now that the Knight Radiants are reforming. Though Szeth’s progresses through his Skybreaker training with “ease”, his view of the order and of the overall conflict dovetails with the revelations that nearly destroy Dalinar’s fragile coalition. These revelations also correspond with Jasnah’s development and her concern for Renarin, whose own spren bonding is a revelation in and of itself as history and expectations are quickly being subverted. Unlike the previous two books, Oathbringer is not as action-packed but is more centered in expanding the understanding the various peoples and politics of Roshar. 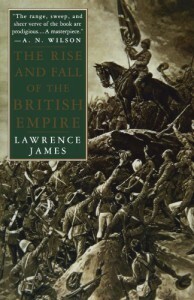 While the beginning of the “overall” story was a bang, Sanderson turned the focus from one main area to many which resulted in building the world he created with different peoples with different cultures and long complicated histories interacting with one another during the beginning of what might be a long conflict. Add on top of this the fact that the ancient history that many believed to be true was not and as a result some are choosing a different side than what is expected of them plus the influence of Odium on everyone, and the next seven books in the series look to be very intriguing. Though the book’s length is once again an issue, around 1250 pages, attempting to do so much in one book it was the only result. And if there were flaws, it was mostly the perceived open-ended ways some events happened that were either a mystery to be solved later either in this book or another or just to be left open for no reason. I will not say that Oathbringer is a perfect book, but it was a different change of pace after the first two books in The Stormlight Archive which helped continue the narrative while expanding it over more of Roshar. Knowing when to “subvert” the standard grand fantasy narrative is always a challenge, doing it this early in the series right now looks like a good move on Brandon Sanderson’s part and I’m interested to see where the story develops going forward. 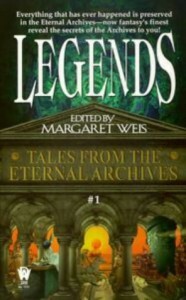 The short story anthology Legends edited by Margaret Weis, the first collection of the Tales from the Eternal Archives, contains almost twenty stories of near above average quality loosing connected to one another through a mystical library, titular Eternal Archives. 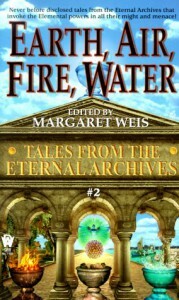 Although the majority of the nineteen stories were fantasy, historical fiction and science fiction were also featured. The two best stories of the collection were “Wisdom” by Richard Lee Byers, which was followed an alternate interpretation of The Iliad and The Odyssey as Odysseus ventures to save the world from chaos. The second was “Silver Tread, Hammer Ring” by Gary A. Braunbeck features an alternate world in which mythical and folkloric figures exist side-by-side as John Henry faces down a steam drill run by a minotaur. Other excellent stories were the two opening stories, “Why There Are White Tigers” by Jane M. Lindskold and “The Theft of Destiny” by Josepha Sherman, as well many more such as “The Last Suitor”, “King’s Quest”, “Ninety-Four”, “Precursor”, and “Dearest Kitty”. The two worst stories of the collection were “The Wind at Tres Castillos” by Robyn Fielder which featured historical individuals who didn’t interact with one another at the titular location and the fantastical elements just didn’t make sense creating a waste of paper. The second worst story was “Final Conquest” by Dennis L. McKiernan, while short this story featuring Genghis Khan was a headscratcher though a nicely written one. Although overall not bad, the preface and short introductions loosely linked all the stories with the mystical library between worlds though some were better than others. The nineteen stories that make up Legends feature—more than not—very good short stories across fantasy, historical fiction, and science fiction. Yet like all anthologies, it is a mixed bag of quality but only a few stories were completely subpar thus presenting the reader with a lot of good reading.